My doctor says I need a stress test. What is it? What's it for? It can be daunting. You go in for your annual physical and, based on a routine check-up, and in addition to the normal blood workup, your doctor tells you he would like you to come back for a stress test. If you have never had one before, you may be wondering exactly what it is and why you would need one. If you have a family history of heart disease, or if you have mentioned or he has observed certain symptoms which could point to a heart condition, he may want to do tests to observe how your heart functions when under stress. By making the heart work a little harder, symptoms which may not be present most of the time may surface. Depending on your physical condition, there are a number of ways to induce a stressed state. In patients where physical exercise is impractical (such as in cases of limited mobility or in someone where exercising is not recommended), a pharmacological stress test may be conducted instead using drugs such as dobutamine, dipyridamole or adenosine. These drugs make the heart respond as if the person was exercising. The doctor can still determine how the heart responds to stress, but no physical exercise is required. 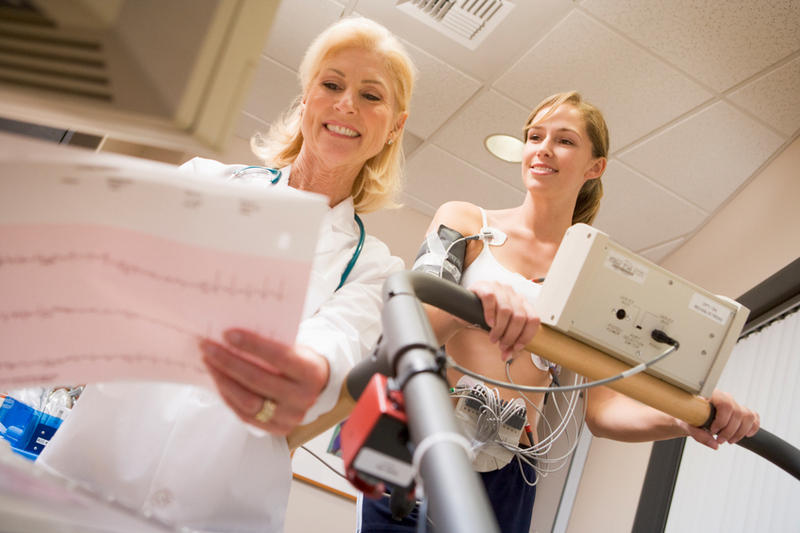 Occasionally your stress test will be conducted in conjunction with imaging such as isotope imaging (also known as a nuclear stress test) or echocardiography to increase the detail and accuracy of a diagnosis. In both tests, you are monitored before, during and after the ‘stress’ to get a complete picture of the heart’s functionality. Throughout the test, the lab technician will ask you how you are feeling and will determine if the test needs to be stopped at any time based on your answers or on the readings generated by the ECG (monitoring your heart rhythm), blood pressure monitor or your heart rate. It is important to note not everyone has the same experience during these tests. Reactions to medications used are as varied as the people who receive them. Talk to your doctor about possible side effects before the tests if you have concerns. Based on the results of your test, your doctor may order further tests (such as a coronary angiogram). If you are being tested for the efficacy of a current heart treatment plan, your plan may be modified based on the findings of the exercise stress test. It may also help your doctor determine the safest level of exercise for you.